The following reviews were compiled by Senior News Editor Kaitlyn Severin, News Editor Safina Husein, News Editor Shyenne MacDonald and Editor-in-Chief Bethany Bowles. They are based on observations from meetings, as well as one-on-one meetings with the president, chair and directors. 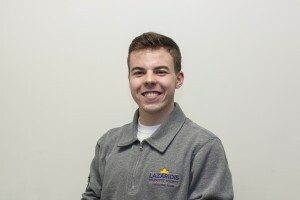 As the first ever Brantford student to be elected president and CEO of the Wilfrid Laurier University Students’ Union, Tyler Van Herzele must be applauded for his ability to govern a multi-campus institution while being stationed at the campus that he did not study at. 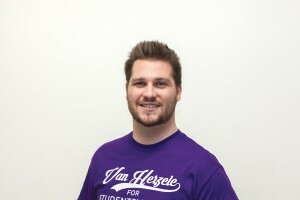 Van Herzele has made the appropriate effort to distinguish issues on both campuses and recognize that both Laurier campuses have different needs. In terms of working with the board, it was noted that Van Herzele absorbed the results of his midterm review and used those criticisms to better his performance. It was suggested that he shorten his updates when presenting to the board and in winter term, he did just that. It was said that Van Herzele takes criticism exceptionally well. As a figurehead of an organization, Van Herzele was likeable and approachable. He was good at communicating with his management team, the board and the general student population. He was present on campus and set up initiatives such as open office hours to include students and have their voices heard. While we recognize that one year is not a long enough time to make huge changes, we wish Van Herzele had taken a firmer stance on significant issues that came to light on campus this year. While he has been overseeing the Turret renovations that will hopefully come in full force once his term is over, he also found time to open up the President's’ Council, which creates a chance for all the presidents from each faculty to come together and bridge any gaps. Van Herzele’s year was not necessarily a year for drastic change or political stance, but more-so a year for transparency and volunteer engagement. Out of all the directors, it could be noted that Chair of the Board and CGO, Nick DeSumma, has undergone the most growth from May 1 until now. 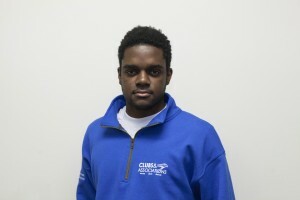 When DeSumma was elected as chair, there was some concern that he would not be able to adequately divide up his time between the Waterloo campus and his home base: the Brantford campus. Over the summer, DeSumma also appeared to lack confidence and would occasionally break Robert’s Rules. However, DeSumma didn’t let geography affect his ability to chair the board and his confidence grew very quickly in a short period of time. He made himself very accessible to other board members and as time passed, he was a strong presence at the head of the board table. He acted as a reliable support system to other board members but also held board members accountable. It was noted that DeSumma often seemed overwhelmed and could have delegated tasks a bit more to lighten his load. His ability to time manage, at times, needed work, but given that he was dividing his time between two campuses, that challenge is legitimate. It was also noted that DeSumma took his midterm feedback really well and made changes to the end-of-meeting feedback forms to make sure that the information gathered was the most accurate. Incoming Chair and CGO Tarique Plummer has some big shoes to fill; we recommend that DeSumma works closely with Plummer to ensure that the communication, transparency and support that DeSumma brought to the board this year will be translated into Plummer’s term. 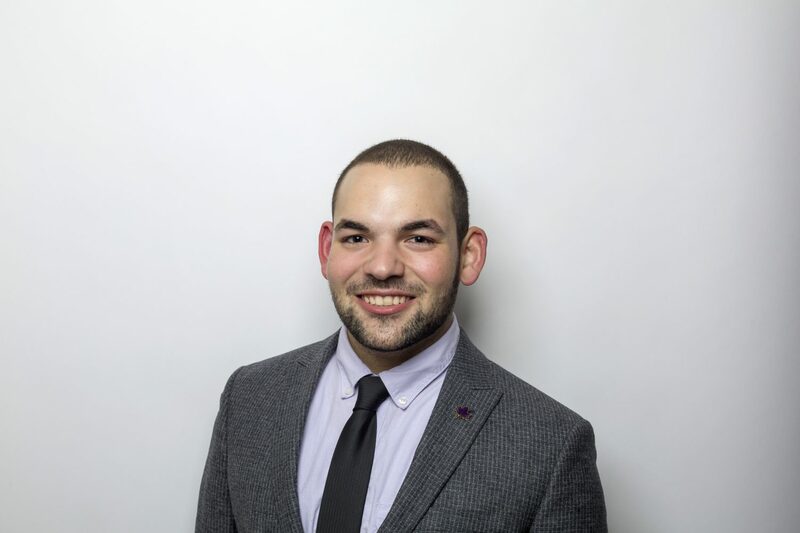 Newcomer Nick Molkoski performed to the best of his abilities as both a first-time director and vice-chair this year, as he was critical and vocal at the board table. While he had a professional working relationship with chair DeSumma, Molkoski could have taken more initiative as the vice-chair of the board. As a director, Molkoski was strong and competent when critical discussions and debates were presented to the board. While he became more assertive in the answers he gave to other directors, there was still a lack of confidence. There was also opportunities for Molkoski to ask more questions to the board and to chair DeSumma that he did not take. Overall, Molkoski proved himself to be a strong and approachable director of the board and his knowledge in governance and policy proved to be worthy as vice-chair. Genelle Martin was recognized as one of the strongest directors on the board this year. She was an active listener and asked thoughtful, critical and engaging questions at every meeting. Martin has not been afraid to hold others accountable and challenge those in authority positions. She is always prepared for meetings and seems to genuinely care about the success of the board. She understands that the board is a governing board and can distinguish that the board doesn’t have an operational role. Martin’s experience as a don helped integrate first-year students into the role of the Students’ Union and contributed to the board’s transparency this year. She was one of the most confident contributors to the board table this year and her success should not go unnoted. Veteran director and Brantford student Matt DeSumma has had a good term on the board. 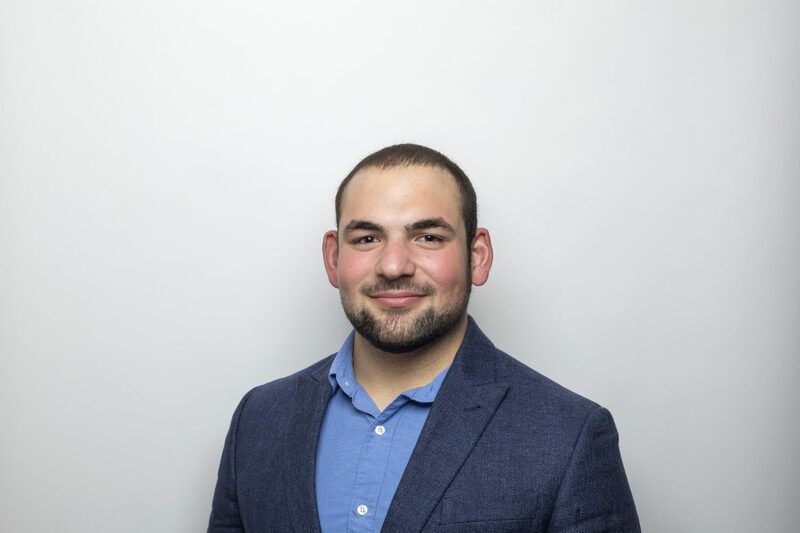 He has held a perfect attendance throughout his term, despite being a student on the Brantford campus and has adequately reached the goals he set out to achieve at the beginning of his campaign. As the only Brantford director, DeSumma is on all committees and chairs the Ownership Linkage Committee, in which he has been successful and shows a lot of pride. However, it has been noted that DeSumma can be highly critical of the board and their actions, yet does not take actions to remedy the shortcomings. 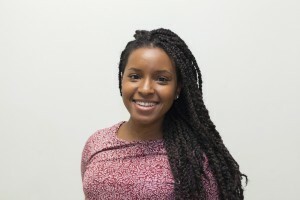 DeSumma’s focus is centered greatly on the Brantford campus, which could be viewed as a drawback to some board members, but that representation is vital to a multi-campus institution. Altogether, DeSumma has been a critical and active member of the board; his presence has been strong and his confidence remains unwavered. Faraz Iftekharuddin had a slow start to his position on the board throughout first semester and has been identified as one of the weaker members of the board. After taking the time to feel comfortable in his role and more confident in his responsibilities, Iftekharuddin has been able to put forth more effort at the board table through asking questions and coming to meetings more prepared. Despite his average attendance first semester, Iftekharuddin has improved his presence at the board and has attended all but one meeting in the second semester. 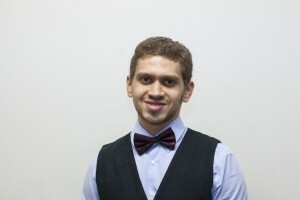 Iftekharuddin has not been a part of any committees during his time on the board; however, he put forth his best effort throughout the second half of his term. Altogether, Iftekharuddin could have furthered his experience on the board and therefore been a more effective director. 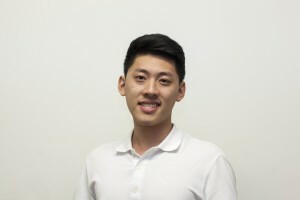 Kevin Jang has been recognized as one of the board members most in need of improvement. 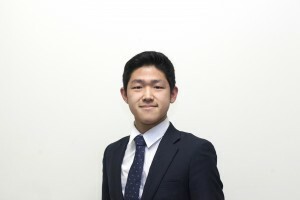 While Jang has been described to be a less attentive member of the board, with time he has been able to accomplish voicing his own opinions during board meetings. However, at the same time, he has had a lack of involvement throughout the meetings and committees as he has not participated in any committees this year. Jang’s attendance has been frequent and because of this, has built strong relationships with fellow board members. Outside the board, Jang has been involved in several clubs that may have diverted his attention away from the board. Because of this, Jang is not returning to the board of directors to refocus on school. Since the midterm review, Stephanie Bellotto has proven herself to be one of the strongest and most critical directors on the board. Before, during and after board meetings, Bellotto’s participation as a director has proven to be evident. Since her midterm review, Bellotto has continued to ask critical and strategic questions at the board table and was never afraid to incorporate her input into board discussions. Throughout the term, Bellotto’s confidence in the role became more apparent, and she became more inclusive with various other Students’ Union committees, such as the Election Appeals committee, as well as other external organizations such as the Ontario Undergraduate Student Alliance. While Bellotto is not returning as a director, she will be transitioning into her new role as vice-president of university affairs. In this role, Bellotto is encouraged to continue advocating for students in a confident and assertive manner. Going into the role with her experience as the board secretary, Shannon Kelly has proven to be one of the more knowledgeable directors on the board. It was evident going into the position that Kelly knew what her responsibilities were as a director. Fortunately, Kelly succeeded in doing this by asking critical discussion questions and using her expertise in governance, operations and policy to help make decisions with her fellow directors. 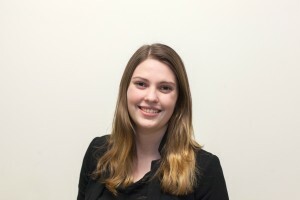 Kelly also participated in numerous committees within the Students’ Union, including co-chairing the elections review committee and being on both campus’s Student Life Levy committees. It should also be noted that Kelly has had perfect attendance, even participating in meetings during her co-op term. Overall, Kelly’s participation on the board, at the table and within the union, have made her a positive standout as a director and one of the strongest members at the table this year. Ryan Price has had a successful term on the board of directors. 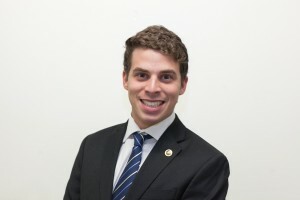 In the second term, despite not being able to be physically present in meetings due co-op commitments in Toronto, Price was still able to be a vital member of the board. Although it was noted that Price could have contributed more to meetings and did not ask many questions or voice his opinions enough, Price was described to be a major asset to the finance committee because of his background business knowledge. Price has accepted an offer for an exchange program next year and therefore will not be returning to the board. Since midterm reviews, Tarique Plummer’s performance as a director has improved. Plummer struggled at the beginning of his term — his attendance was mediocre and his contribution to the table was slim. However, Plummer has used the feedback he was given to become a stronger, more confident director. Plummer, as a part of the board, has been on the inspection committee and election reviews committee. Outside of the board, he is a don and is actively part of the science faculty. Plummer will be the only returning director next year and is also the incoming Chair of the Board for the 2017-18 school year, meaning a lot of responsibility will fall on him to mentor and guide 11 new directors. Since being elected as chair, Plummer has taken the initiative to learn and ask critical questions, demonstrating his commitment to the board. Jonathan Ricci, a veteran board member of three years, will be completing his final year as a board member this term. Overall, Ricci has been a confident, effective and strong director. In addition to his participation in various committees, such as Ownership Linkage Committee and a co-chair for elections review committee, Ricci has also taken part this year as an icebreaker, a soccer referee and UA volunteer. As a veteran, Ricci has had solid attendance to meetings and a firm vocal presence. As he will not be returning next year, Ricci has taken a back seat on the board, leaving room for less experienced directors to gain experience. 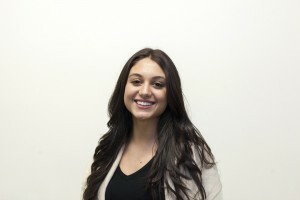 Ricci has also provided positive mentorship and feedback to newer board members. Hubert Lee’s presence as a director at the board table has vastly improved this winter term. After his midterm review, Lee used his expertise and knowledge about the Laurier student body to bring more perspectives to the table. While it took time for Lee to transition into the role over the fall term, he has come to meetings well prepared and has participated in critical discussions with his fellow directors. 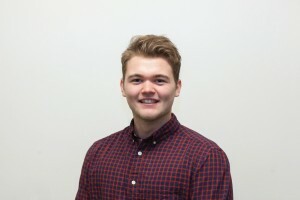 However, Lee took on many responsibilities and roles within the Students’ Union, including the Ownership Linkage Committee and Student Life Levy, as well as other associations within the university. Overall, Lee has proven to be one of most critical directors on the board, and was confident in the discussion and knowledge he brought to the table. Edits were made post production to Tarique Plummer, Shannon Kelly, Jonathan Ricci, Nick Molkoski and Genelle Martin's reviews due to errors that appeared in print. The Cord apologizes to those directors affected.